Craig Dinnie was, for more than 30 years, an English teacher in the Springfield, Mass. public schools. He was the advisor to Springfield Central High School's award-winning yearbook, and before that Classical High's. Mr. Dinnie was one of those rare teachers who was adored by his students, appreciated by their parents and respected by his colleagues. 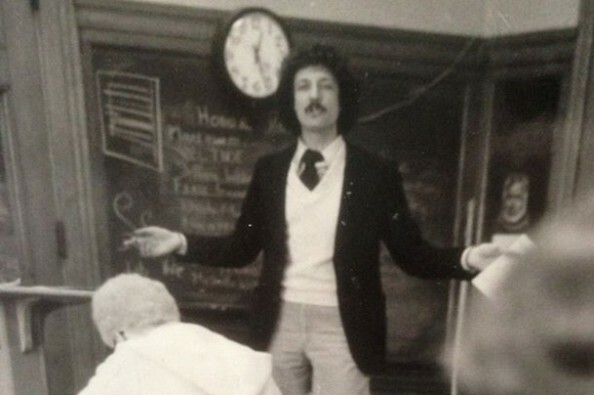 Even after retiring, as a long-term substitute teacher at Sabis International Charter School in Springfield, observers couldn't help but be struck by the sense that Mr. Dinnie was at home in a high school classroom. He was also a loving husband and father, an attentive son and brother, and an all around great friend to anyone and everyone who knew him. He was someone with broad interests who would talk enthusiastically about almost anything you wanted to discuss. He took great interest in others and always had a kind word for anyone with whom he crossed paths. Craig was also an accomplished musician who began his musical voyage as the frontman in a band that played the senior prom Craig's freshman year (when was the last time you heard of a freshman playing the senior prom at his high school? ), and he was still packing "˜em in into his 30s. Later in life, his musical pursuits turned to songwriting, though he kept his "pipes" tuned by also singing (and soloing) in The Wilbraham Men's Glee Club and his church choir. 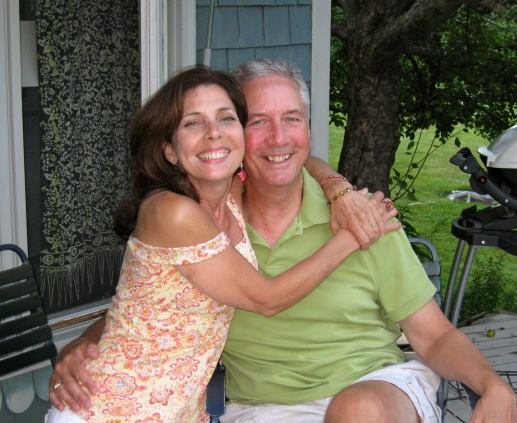 On August 30, 2013, Craig Dinnie lost a courageous, yearlong battle with cancer that took him from us at 64 years young. Throughout all he went through, Craig never lost his concern for others or his sense of humor. Up to the end, Craig was still joking with Cathy, his wife and soul mate of 36 years. To honor Craig Dinnie's memory, and to ensure that the world will always have teachers like him to inspire future generations, his friends and family have set up this website to accept donations for the Craig Dinnie Memorial Scholarship Fund. The fund will award scholarships annually to seniors at Springfield's public high schools who have been accepted as education majors at accredited colleges and universities. The Craig Dinnie Memorial Scholarship Fund is coordinated by friends, with the approval of his family, to help provide an avenue of tribute for those who wish to contribute. Donations are collected via WePay and deposited directly into a special bank account administered by the Springfield Teachers' Credit Union. 100% of the donations collected via this campaign will be used to fund scholarships for aspiring teachers. You may also donate by mailing a check payable to "Craig Dinnie Memorial Scholarship Fund" c/o Springfield Teachers' Credit Union, 145 Industry Ave. Springfield, MA 01104. For questions about the fund, please contact Larry Marchese: lmarchese [at] legionthirteen.com. So many thanks to Mr. Dinnie, a beloved teacher and one of my most encouraging mentors at Central High School. Missing you Dad always! Happy Father's Day in Heaven. How I wish you could come have a cup of coffee at our cafe and visit with your granddaughter. Love you with all my heart and I owe everything I am to you! Touched by cancer yet again as we found out this week that my grandma is in fact not cancer free... and will soon lose her battle. I'm sorry that I wasn't able to meet Craig, but am happy to know that he lived life in a way that inspired so many. God bless. In honor of the 1987 yearbook staff. Craig Dinnie was a huge reason both of us became teachers. Love always. We miss him more and more with each passing day, but he is forever in our hearts! You are forever in our hearts. Merry Christmas, Craig. We are happy to make this contribution in memory of a good friend, a great teacher and a musical talent with no peer. We miss him.